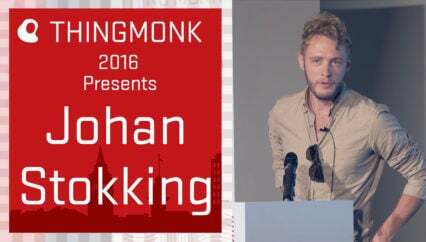 Matt Biddulph Co-Founder of Thington Inc. returns to Thingmonk to tell us about the awesome advantage of laziness, about borrowing from adjacent industries and his joy in the unification of disparate concepts. Once again we see open source come to the fore as a key enabler for developers. 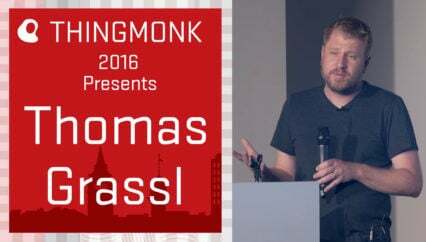 Drawing on the term consilience, literally the jumping together of ideas to create a new application he describes 3 aspects of cross disciplinary consilience that have inspired his work on Thington, the conversational IoT interface for connecting multiple devices and users. Turning to the financial markets for an in memory query engine. To the gaming industry for platforms that support multiple concurrent users and software that reduces latency between designers, writers and developers. And finally to Twitter as a system which has been extended by its users shaping its implementation.